('State Fair' x MN selection) University of MN, 1998. 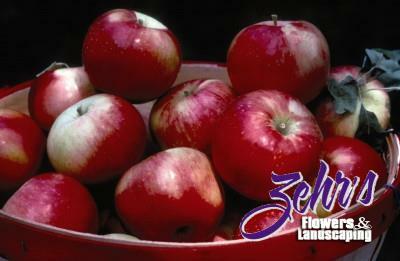 A wonderful new apple cultivar from the the University of MN. At last, an early apple that is crisp and juicy! Best known for its excellent sweet tart flavor. Has a much longer storage life than other early apples. Excellent for fresh eating and cooking. Ripens in late August in MN.